Hoping for a link or direction to make a VBS wave! Have seen several pictures but do clue how to do it!!! 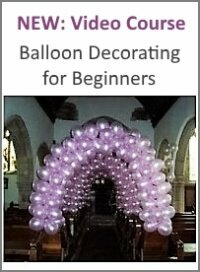 I couldn't find step-by-step instructions for making a balloon wave. 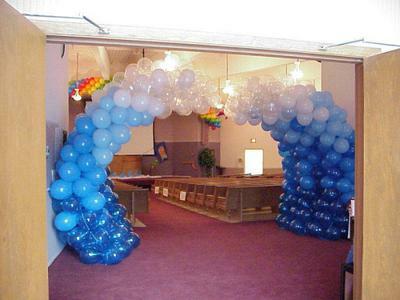 However, from the various pictures I've seen, it looks like these are made of several balloon columns in a row. Each column is bent into the wave like shape. First thing you need is a sturdy base; it has to be heavy enough to keep the bent column upright. Then you need 1/2 inch aluminum rod or conduit which you would bend into the required shape. 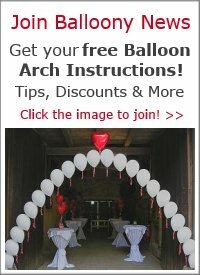 It's difficult to see if those columns are made of 4 or 5 balloon clusters. You'd have to experiment to see which one looks better. 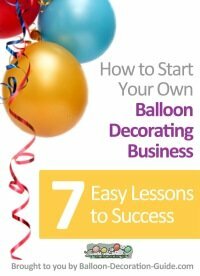 You'd start with 11 inch latex balloons at the bottom, and use smaller balloons towards the top. 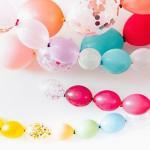 Some designs use only slightly smaller balloons towards the top of the column, others go down to 5 inch balloons. Sorry that I don't have more detailed instructions. I hope this helps a bit.